Update - June 4, 2017: Submissions are OVER! Judging has begun. Popular vote to begin soon. Stay tuned! Hello treasured friends and welcome to the Otis Giraffe CAL Contest! 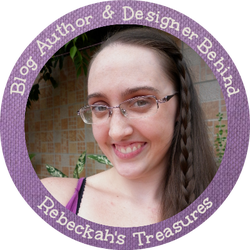 For those of you, who don't know me, I'm Rebeckah, the designer behind Rebeckah's Treasures. I love designing crochet patterns that will make treasured heirloom gifts for family and friends. I absolutely love seeing your creativity, which is why I can't wait to see what you all did with my Otis Giraffe crochet pattern and hear what you thought too! Continue reading below to see how this crochet contest will work (judging + voting + selecting winners), learn a bit about the prizes I will be offering, meet my designer friends who are contributing prizes, and submit your Otis Giraffe projects today! Open worldwide to persons of 18+ years. Minors, under the age of 18, may have an adult guardian enter on their behalf. Must have used the Otis Giraffe Crochet Pattern by Rebeckah's Treasures to create your giraffe(s). Creative expressions & twists on the pattern are perfectly acceptable, so long as the Otis Giraffe pattern was used as the base for your giraffe(s). Must submit at least ONE quality photo clearly depicting YOUR work. If you submit more than one photo, I will create a special collage to feature the best angles. Visiting the supporting businesses is SO VERY MUCH appreciated by all of us. Thank you to everyone who takes the time to go around and say hello to us all! Up to THREE winners will be chosen from a combination of unbiased judges scores (2 panels) and popular votes by YOU (and everyone)! Judges will give their scores first. 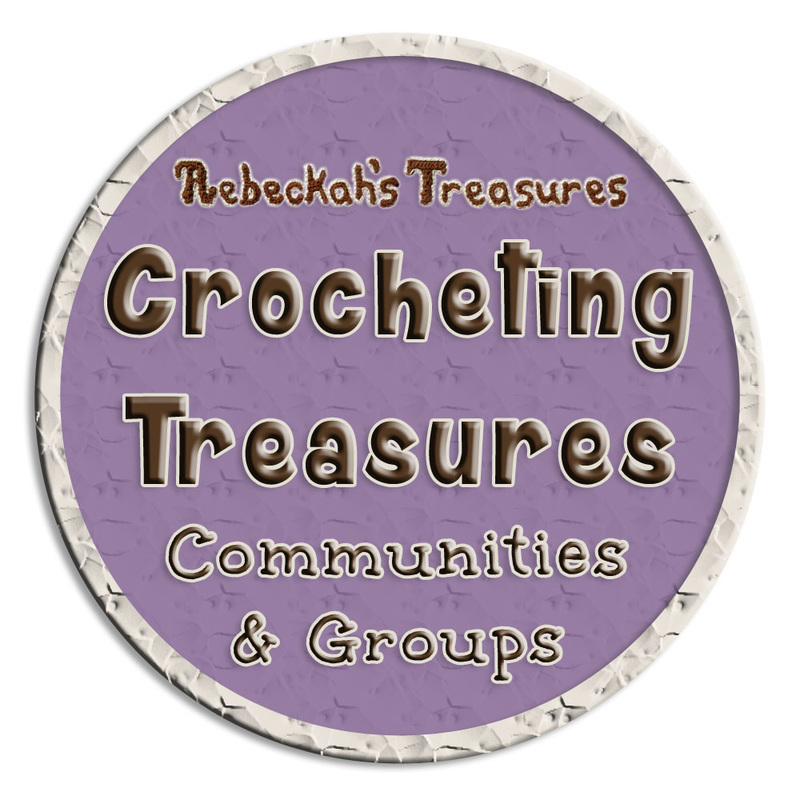 There will be two separate panels - crochet experts on one & Rebeckah's family members on the other. Neither panel of judges will have any prior knowledge of the participants. They will only see the contestant's work. This means their scores will be based upon how they view each contestant's crochet skills, creativity, etc. Judges will be rating each contestant separately on a scale from 1 to 10, with 10 being the best score. So, you'll have a high chance of getting two really great combined scores. To keep the winners a secret until the end, only the winners' scores will be shared at the end of the contest. After all the judges have rated each contestants' work, the popular voting panel will open. Whereby, you, your family, friends and everyone who wants to vote may do so! Voting options will be daily and limited to a set amount per day per voter. Additional voting details will come, when voting begins. At the end of the voting, I, Rebeckah, your contest hostess, will tally up the scores from the judges' panels and the popular votes by you to see who the winner(s) are! Submissions - From Wednesday, May 10, 2017 to Wednesday, May 31, 2017. Judge Ratings - From Sunday, June 4, 2017 to Saturday, June 10, 2017. Meet the Crochet Expert Judges - Sunday, June 11, 2017. Meet the Contestants - Monday, June 12, 2017. IMPORTANT: Make sure you RETURN to Rebeckah's Treasures for the POPULAR VOTING so you can get others to vote for you. AND later for the WINNER ANNOUNCEMENT to ensure you receive your prize if you win - some prizes will be up for grabs for a limited time. And makes sure you come back to meet the judges and other participants too! Please Note: Details relating to your project entry along with your preferred name will be shared on the Meet the Contestants Post, and may be shared again on the Winner Announcement Post if you are one of the winners. Your email will not be shared with any other party, unless you are announced as a winner. In this case, your email will only be shared with the sponsor(s) of the extra prizes you are allotted to receive. Step 1: Compose an email to rebeckahs.treasures@gmail.com from your best email address. Step 2: Type - Otis Giraffe CAL Contest 2017 - into the subject line. Please keep do not alter this subject line for additional entries. Leaving it the same, groups your entries together for me. Thanks! Step 3: Attach at least ONE photo of your crochet project to the email - you may attach more than one. Please make sure to submit a good quality photo, where we can see your work clearly. I need at least ONE non-watermarked photo for the judge's panel, but if you'd like your photo(s) watermarked for the public voting, you may send that in too. Step 4: Copy the following template into the body of your email and fill it in with your entry details. 1) What is YOUR NAME as you would like it to appear? 3) Tell us a little bit about your project entry - can be anything you like (for instance, what materials you used, whether you followed the traditional or recommended route or both, what inspired you, for whom you crocheted your project, was this your first amigurumi etc.). Step 5: Press send and await a confirmation email to be sent to you within 72 hours time. This is to verify your entry details and make sure you can receive emails from me. Step 6: Save rebeckahs.treasures@gmail.com to your address book to ensure my future emails will arrive safely in your inbox. ​Step 7: Repeat for additional Otis Giraffe project entries or send all THREE entries in one email - MAXIMUM 3 Entries per contestant - keep in mind they may be competing against each other during the popular voting segment, but each entry gets you a larger participation prize. Step 8: Be on the lookout for the Voting Announcement email on Monday, June 12th, 2017. SUBMISSIONS CLOSE at the end of the day May 31st, 2017 EST!!! I will be giving away mega prize packages including freebies of my premium crochet patterns and discounts to my shops, which winners can redeem right away and/or save for new pattern releases! ​The official prize packages will be announced when the public voting begins. Additionally, each entrant will receive a special bonus for their participation in the contest from my shop, including the ad-free PDF version of the full Otis Giraffe Crochet Pattern (complete with all 6 parts, combined with all the blog featured photo tutorials and links to the videos too - English Instruction ONLY) to save on Raverly. The more entries you submit, the bigger your bonus will be! ONE Otis Giraffe Submission = ONE Loyalty Program Pattern + ONE copy of the Otis Giraffe crochet pattern to gift to a friend. 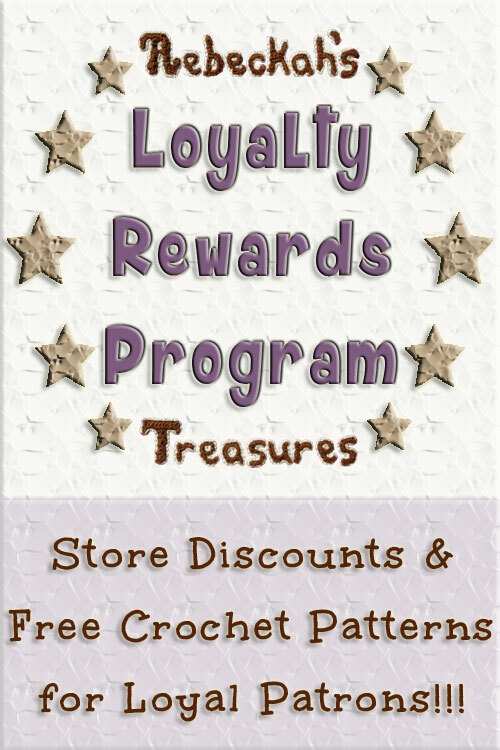 TWO Otis Giraffe Submissions = TWO Loyalty Program Patterns OR ONE other crochet pattern of choosing from crochet patterns priced at $3.00 USD ​or less + TWO copies of the Otis Giraffe crochet pattern to gift to two friends. THREE Otis Giraffe Submissions = THREE Loyalty Program Patterns OR ONE other crochet pattern of choosing from crochet patterns priced at $5.00 USD ​or less + THREE copies of the Otis Giraffe crochet pattern to gift to three friends. ​In addition to the above prizes, each winner will receive additional prizes! See collages of their amazing designs below, then pop over for a visit to each one to say, "Hello!" UPDATE - May 26th: Hey Can You Crochet Me A... saw how much fun we're having and wanted to join the fun too by sponsoring more prizes. Yay! Defy Society Arts has generously offered 1 individual pattern for ALL 3 contest winners! Greybriar Hollow has generously offered 1 individual pattern for TWO contest winners! ​Greybriar Travels Magazine has generously offered 1 magazine issue for TWO contest winners! *The above Greybriar Travels Magazine collage features four sneak peeks coming in the June 2017 issue of the magazine. It includes one of my designs, a pattern from Defy Society Arts (a prize sponsor in this contets), and two brand new designers too - The Little Blue Narwhal, and Windy. More designers and patterns will be featured in this upcoming magazine issue. 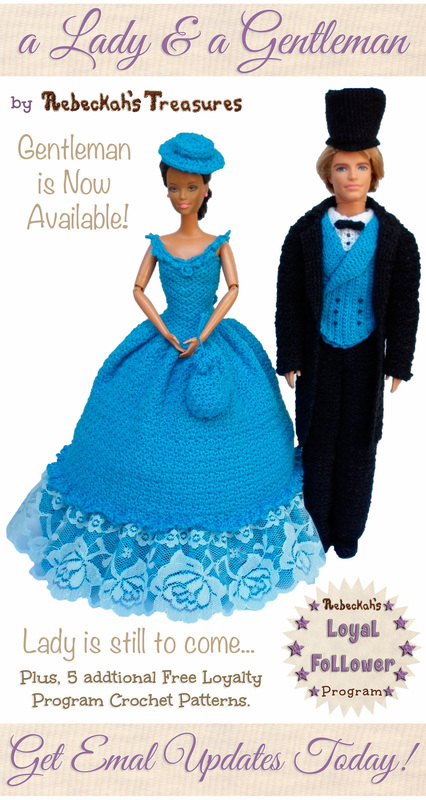 Hey Can You Crochet Me A... has generously offered 1 individual pattern for ALL 3 contest winners! Holly's Hobbies has generously offered 1 individual pattern for ALL 3 contest winners! Kirsten Holloway Designs has generously offered her "Bouquet Ladies Slouch Hat" pattern for ONE contest winner! Knot Your Nana's Crochet has generously offered her "Zoo Blanket Applique Set" eBook pattern collection for ONE contest winner! Made by Mary has generously offered 1 individual pattern for ONE contest winner! Melissa's Crochet Patterns has generously offered 1 pattern for ALL 3 contest winners! Midnattsol Design has generously offered her "Spiral Granny Tote" pattern for ONE contest winner! Oombawka Design has generously offered 1 individual pattern for ALL 3 contest winners! Snappy Tots has generously offered 5 individual patterns for ALL 3 contest winners! The Cheerful Chameleon has generously offered 1 individual pattern for ALL 3 contest winners! Thanks to all participant of the Otis Giraffe CAL for joining and sharing your giraffes with us! See you again in June for the voting portion of this contest. 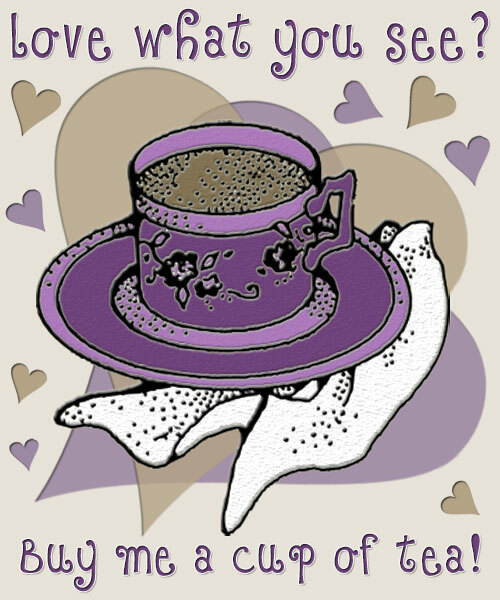 Have an outstanding day! 25% off all patterns in my shop for the duration of the submissions. Use code: 25OG17 | Shop patterns here! AND, the FULL English PDF version of the Amigurumi Otis Giraffe pattern is 35% off until the end of May 2017 EST with the code: OTIS35!!! Click here to add the code + pattern to your Ravelry Cart.